The Professional Development Alliance is approved as a provider of Administrators' Academy courses by the Illinois State Board of Education, 100 N. First St., Springfield, IL 62777. The Professional Development Alliance is approved as a provider of Continuing Professional Development Units (CPDU's) by the Illinois State Board of Education, 100 N. First St., Springfield, IL 62777. 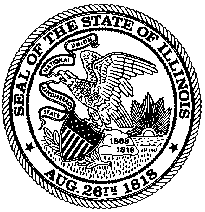 The Professional Development Alliance has complied with the provisions of the Illinois Statutes and/or rules and regulations and is hereby authorized to engage in activities as a Registered Social Worker Continuing Education Sponsor, under the authority of The State of Illinois Department of Professional Regulation. The Professional Development Alliance has complied with the provisions of the Illinois Statutes and/or rules and regulations and is hereby authorized to engage in activities as a Registered Speech and Language Pathology Continuing Education Sponsor, under the authority of The State of Illinois Department of Professional Regulation.